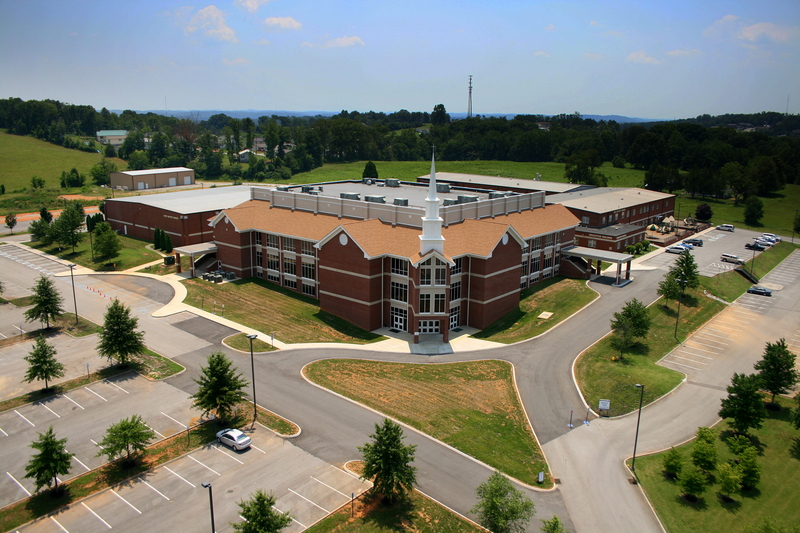 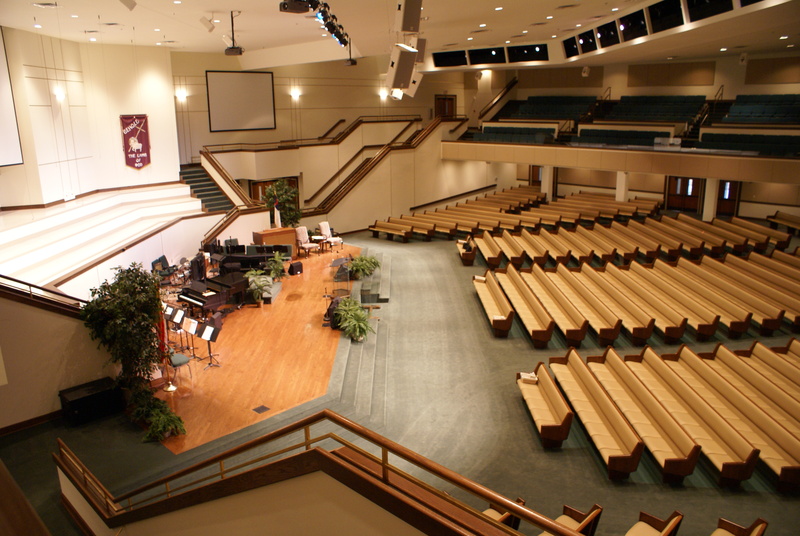 When 1st Baptist Church outgrew two services in the gymnasium that was serving as their worship center, they looked for a firm with extensive experience in large sanctuary design. 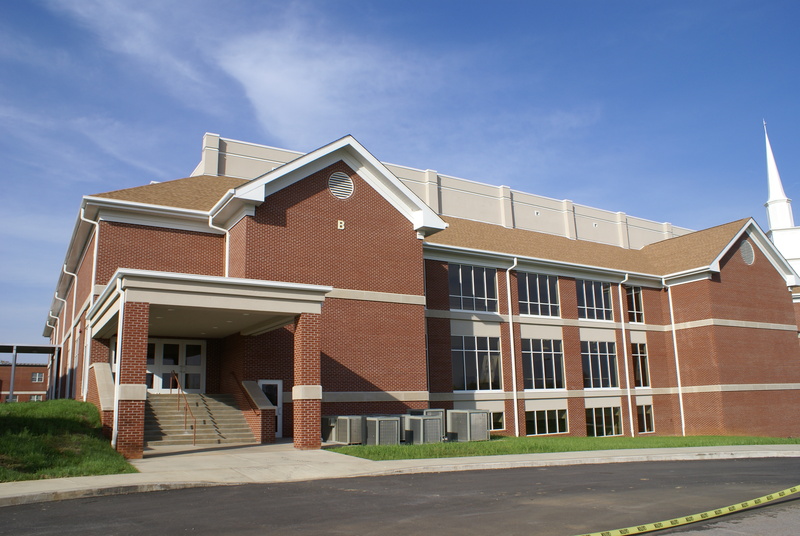 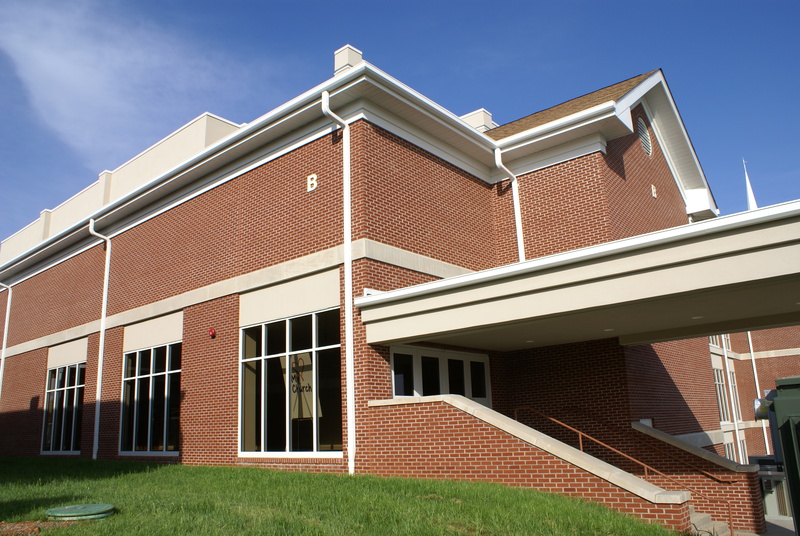 The logical choice in the east Tennessee area was Community Tectonics Architects. 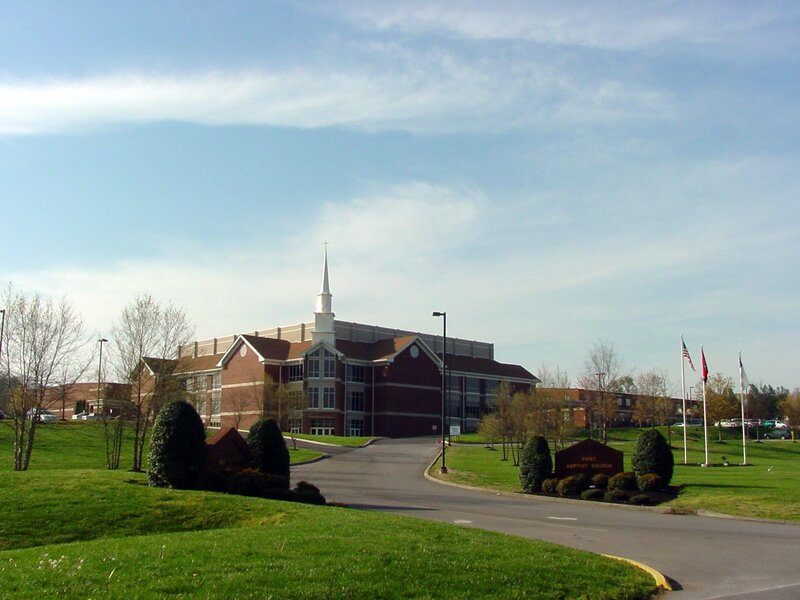 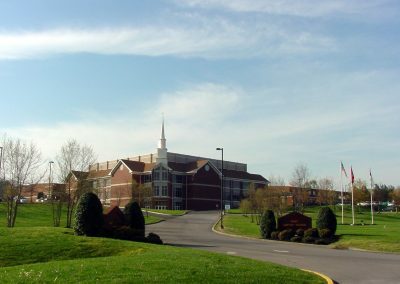 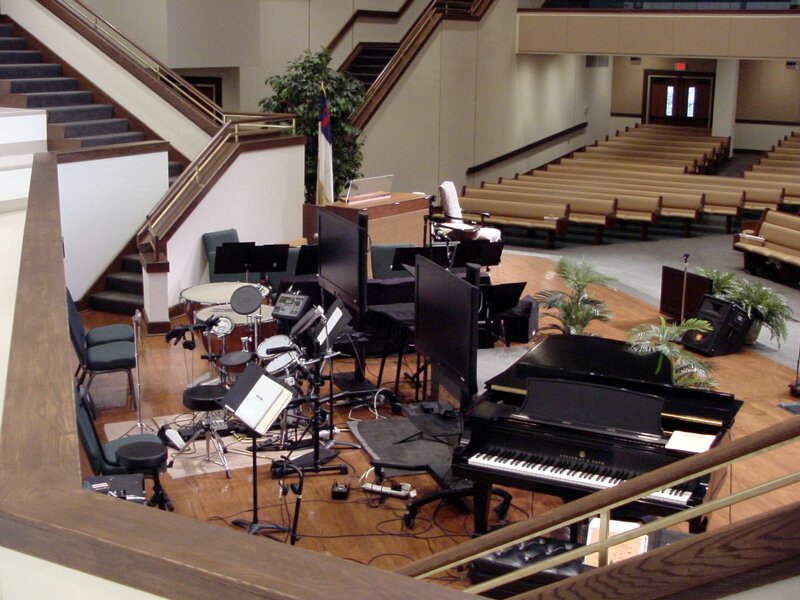 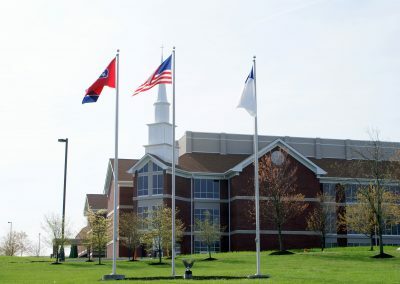 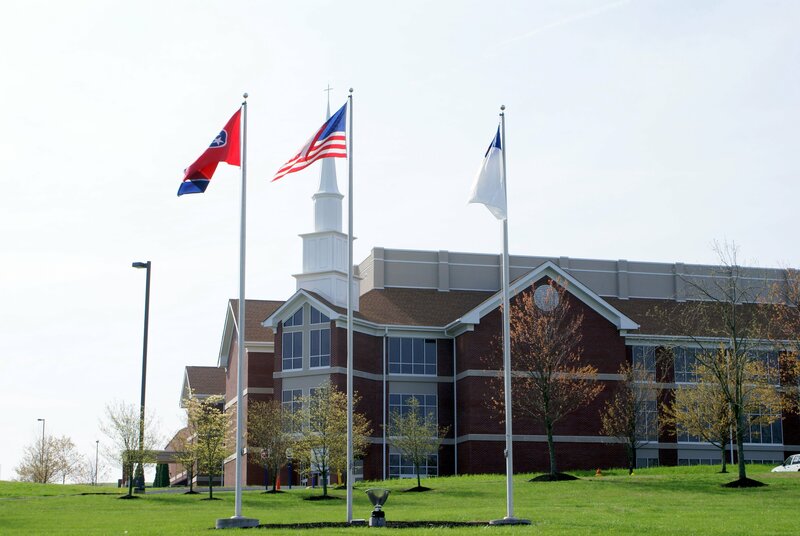 Because of phenomenal growth in recent years, they needed not only a new sanctuary for 1,500 and the music suite to support a choir for 135, but also a fellowship hall and classrooms for their large number of senior adult members. 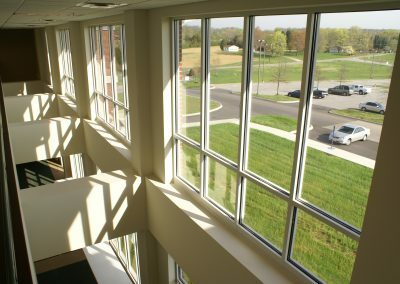 Because of the slope of the existing site it was logical to provide a three story facility that worked with the existing grade and also tied into the two existing levels of classroom space. 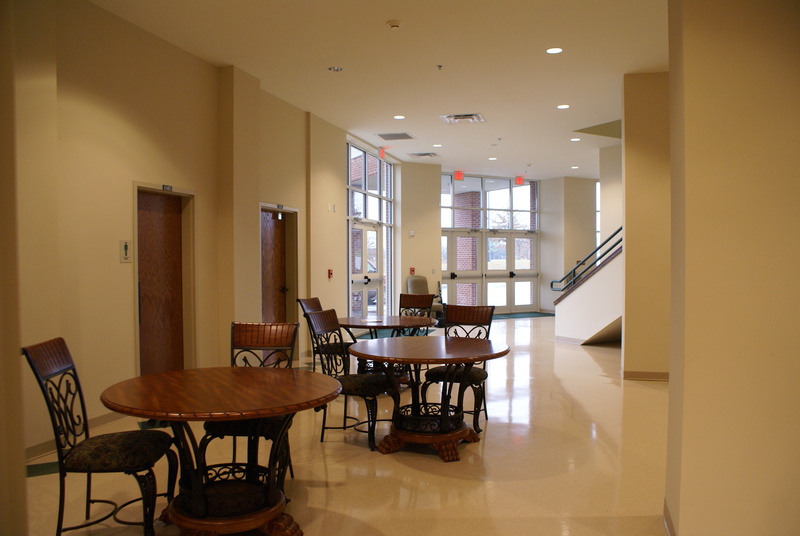 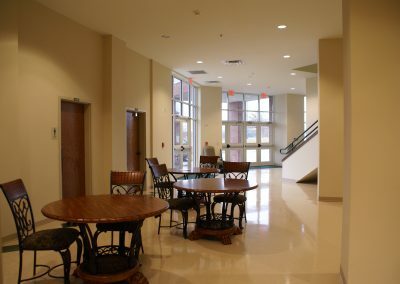 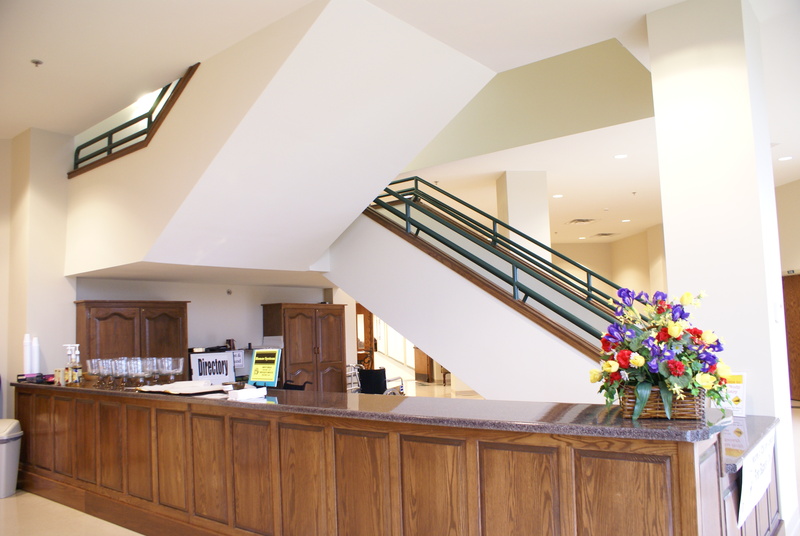 The lower level was designed to house the fellowship hall, complete with commercial kitchen and all senior adult activities, including their own staff minister and administrative staff. 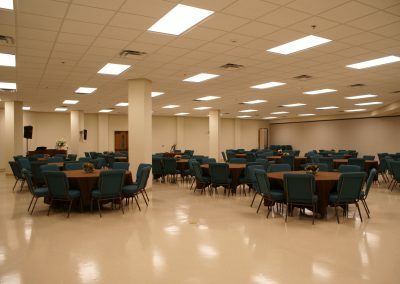 The fellowship hall is capable of assembling 1,350 for Wednesday night services, but can also be subdivided into smaller groups of around 300. 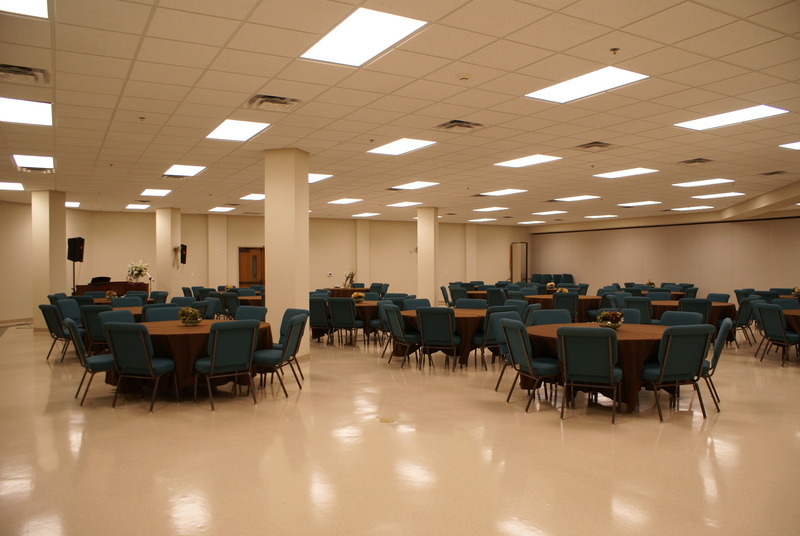 All these assembly areas are served by an adjacent commercial kitchen and public toilets. 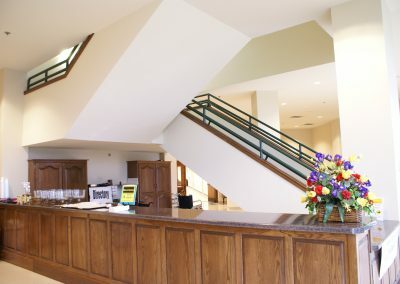 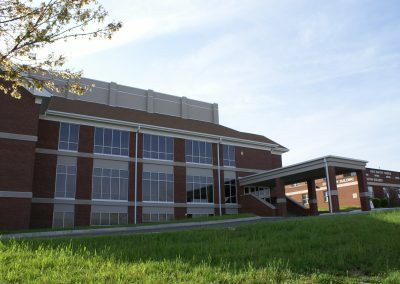 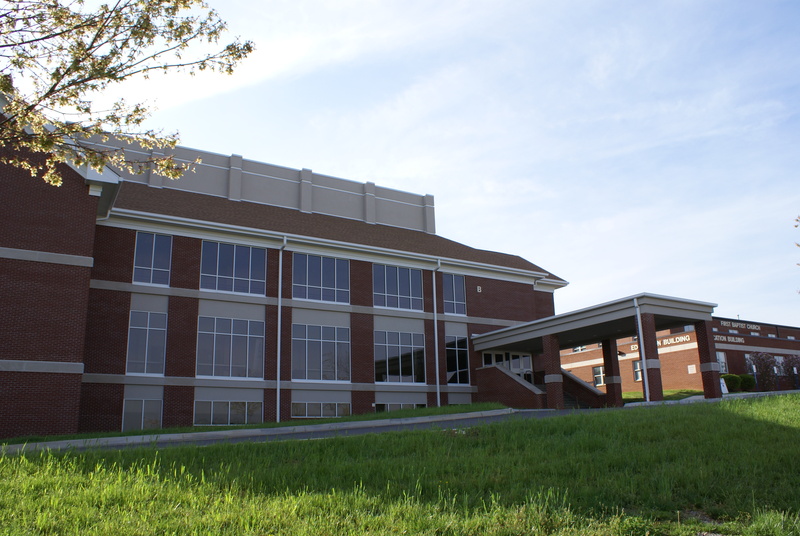 Located around the assembly core are classrooms, administrative offices, crafts and small meeting rooms, including a fireside room just off the large central lobby. The main level houses the sanctuary and choir for a combined capacity on this level of approximately 1,230. 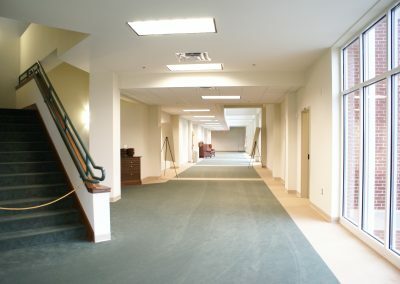 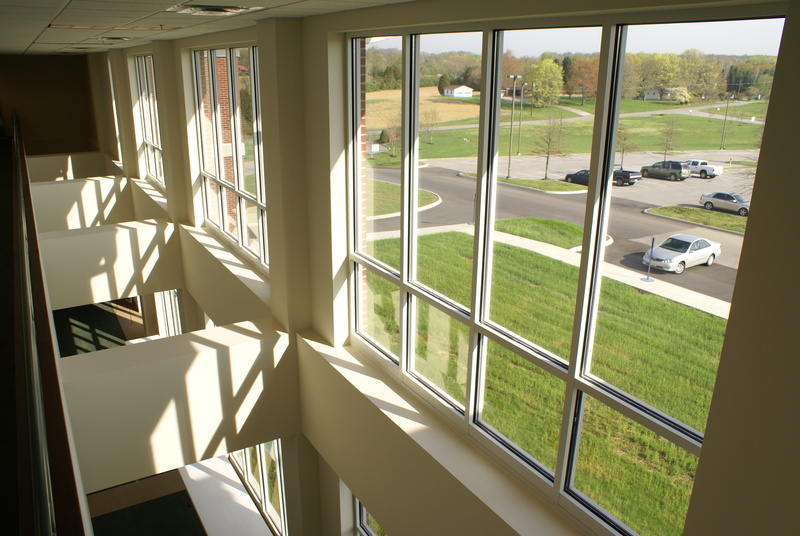 Wide perimeter corridors allow for both easy traffic flow from the sanctuary to other areas of the building and also accommodate fellowship space for greeting friends and fellow members. 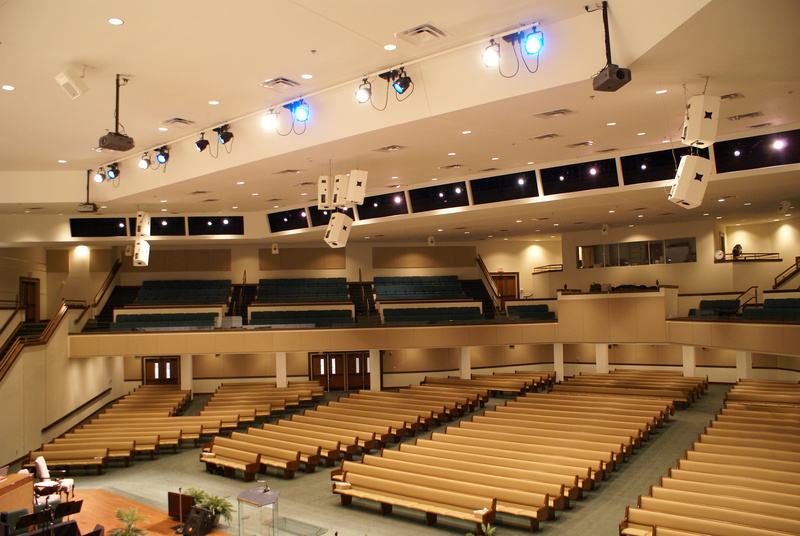 It also allows mission booths and other displays without negatively affecting circulation. 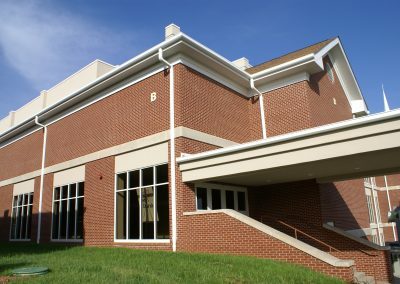 Additional space on this level includes an orchestra room, handbell room green room facilities, queuing space for performances and several public toilets. 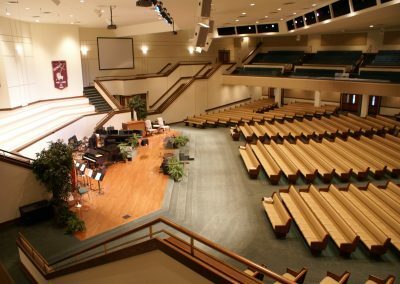 The upper level houses the balcony of the worship center with over 400 seats. 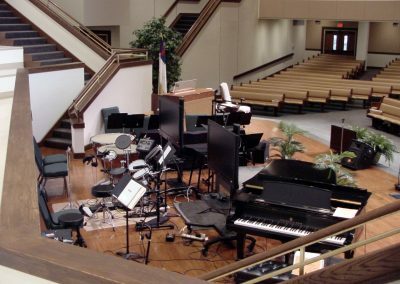 Also on this level is the music suite which includes offices, music storage, robing rooms, kitchenette, and large choir practice room with direct access to the choir loft. 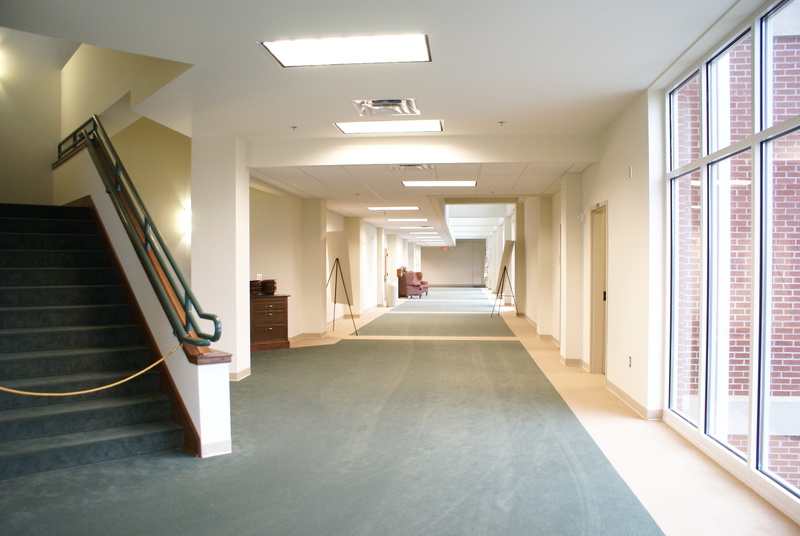 The entire space is designed to work with a master plan of future expansions which will tie all buildings on all levels together. 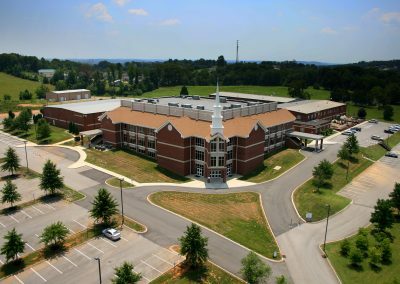 This master plan will allow the church to continue its growth in a logical and consistent manner for years to come.